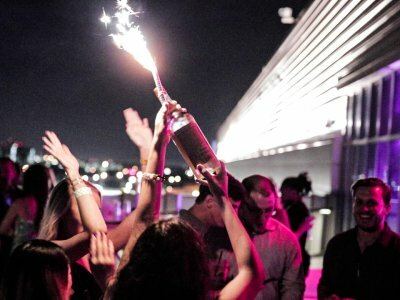 Cheers to a prosperous 2018! 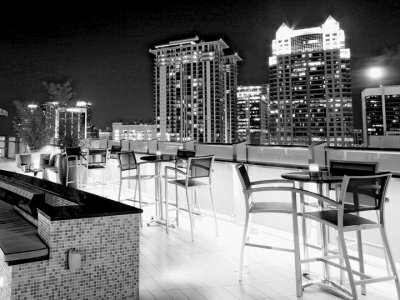 Ring in the new year on the Sparkling Strip as Sin City invades Orlando’s most stunning rooftop oasis! Say goodbye to 2017 in classic Vegas style. 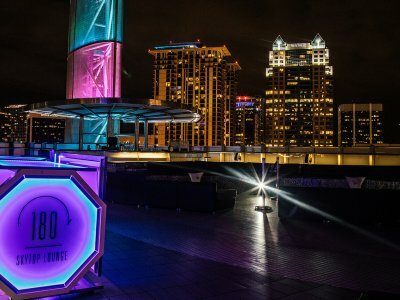 Celebrate with thousands of partygoers on the street, or make your way into 4 different bars & enjoy fireworks & the iconic Orange Ball drop at midnight! 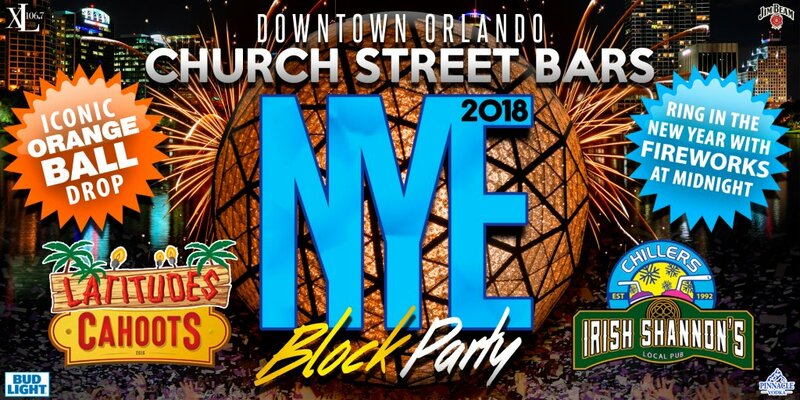 When it comes to Ringing in the New Year in Orlando, there’s no better place to be than Church Street Bars NYE Block Party 2018!!. 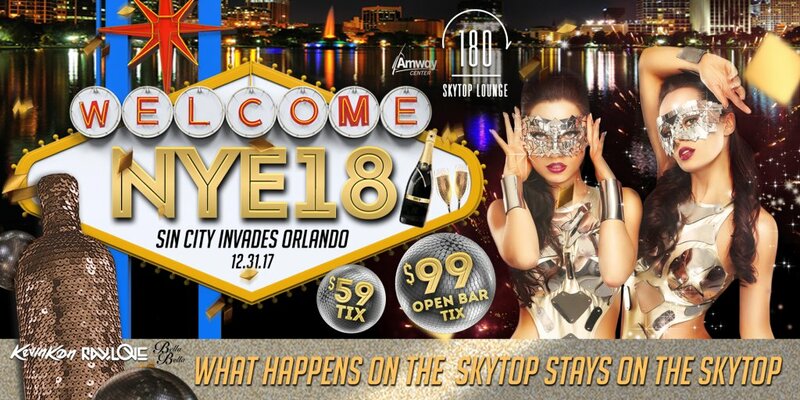 The “City Beautiful’s” PREMIERE PARTY for over 25 Years, let us make your final day of 2017 a memorable one. 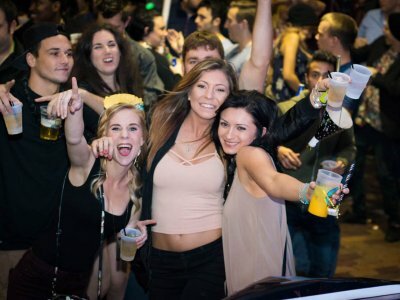 Celebrate along Church Street all night long or make your way inside to Downtown Orlando’s ONLY 3-Tiered Bar: Chillers | Cahoots | Latitudes OR Irish Shannon’s Pub, located right next door. 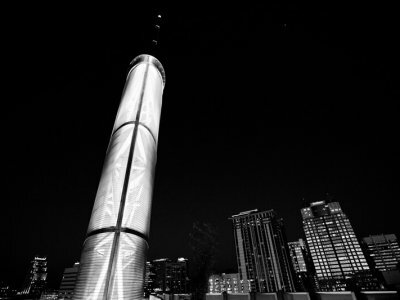 FIREWORKS will be a poppin as we drop the ICONIC Orange Ball from Latitudes’ Skytop at midnight. 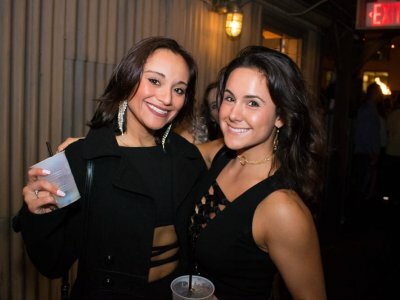 Enjoy Live Entertainment on our Outdoor Stage or get your party on with the BEST DJ’s in Orlando as they rock out the New Year inside all 4 BARS!! 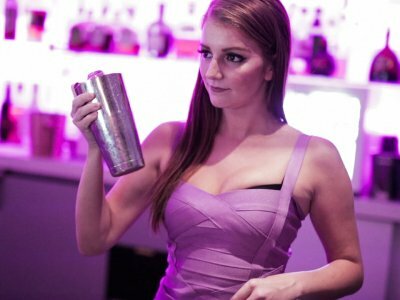 Celebrate the start of 2018 in style with the musical stylings of DJ’s Ray Love & Kevin Kon, while the Bella Bella Showgirls strut their stuff with the ultimate City of Lights razzle-dazzle. 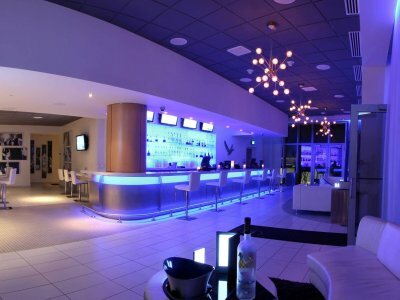 Let our One80 Staff treat you like the true high roller you are ALL NIGHT with multiple ticket & VIP options available. 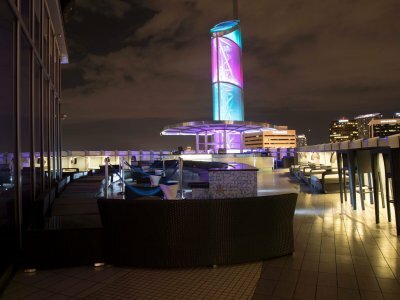 Enjoy a complimentary champagne toast at midnight, NYE party favors to enhance the evening, and TWO visible firework shows from atop the Orlando’s PREMIERE Skytop retreat. 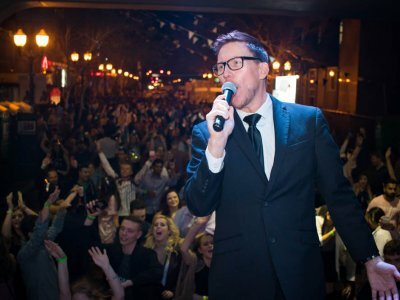 It’s a Vegas-style New Year’s Eve party you won’t want to miss!